Starting your small business is an event that is exciting and interesting. There are so many avenues to be explored and decided on. One of the most important is the means of obtaining the money you will need to get in and remain in business for the long haul. Unfortunately, this can be very troubling, especially if you are not familiar with the options that are available to you such as the different types of credit. This includes a business line of credit that is unsecured versus secured. When a financial institution, whether it be a bank, credit union, or other type loans money, they often do so via a secured line of credit. This means that money is loaned to a person or business against some type of collateral. In the case of a secured loan, if the loan is defaulted on, the financial institution will receive their money when the property is sold. If the credit that is desired is in the form of a business credit card, money is deposited in the financial institution that is extending the credit in an amount equal to the credit limit. The amount of money is held until such time as the institution determines that the business is no longer a credit risk and the money is returned to the borrower. If the borrower defaults on his credit line, the money is acquired by the institution. 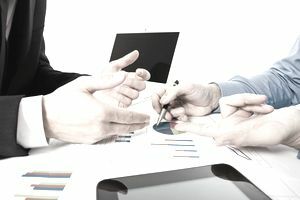 If a business has a good reputation for paying their debts on time and in full, the chances are much greater that the owners will be granted an unsecured line of credit. If a new business has an established credit history the owner might be granted unsecured credit, or if the owner uses his own personal credit history as a guarantee, he might also be granted unsecured credit. It is also possible that a new business owner could receive unsecured credit based on a business plan that would be submitted with an application. In cases such as this, the institution might grant unsecured business credit line against the virtues of the business plan, although this is most often done in the case of very small loans until a positive business credit history is established. Once a business has established a positive credit history, that business might be granted a business line of credit that is unsecured as well as unsecured business credit cards. These unsecured business lines of credit are determined by several factors including revenues, expenses, the credit already established, and the number of years the business has been in operation. Think of this as preparing a picture of your business, both before and dependent on the credit you are seeking. The better the picture, the better your chances will be of receiving credit. Getting credit for your business is simply a matter of applying for it at your local financial institution. Just as is the case with any credit, it is best to apply for it at an institution that is already familiar with you and your business. And while it is okay to shop around with other institutions in pursuit of the best rates, it is often best to keep as much as you can with the one you already have business with. You will find that as your business grows and your history of using credit wisely is established, your institution will be more and more willing to take greater chances with you as you wish to expand. Although the days of doing business with your bank on a handshake are long gone, you will find as you gain more experience that to a very great extent trust is still a vitally important factor when getting any kind of credit. As a result, the more you can prove to a loan officer that you have good intents with his money/credit, the greater the likelihood that you will get that credit. Showing him documents such as a detailed business plan, the customary financial statements and other business tools will go a long way towards proving that you can handle business credit responsibly. It is only after a business owner fails in this responsibility that things in the credit world will start looking pretty bleak, especially when you need the help.